Spin Doctors join the RUF Live From The Road Collection and they bring to a party their own brand of energized blues driven rocky tones. This is music that needs to be heard with the energy of a live band and they work the sound that is one that played to enthusiastically packed venues in the 1980’s that; a memory that is now sadly fading. This is a band that plays blues people want to hear full of energy and buckets loads of passionate lyrics that twist and snarl around the guitar that is captured here in a moment thanks to RUF’s determination to deliver live albums. 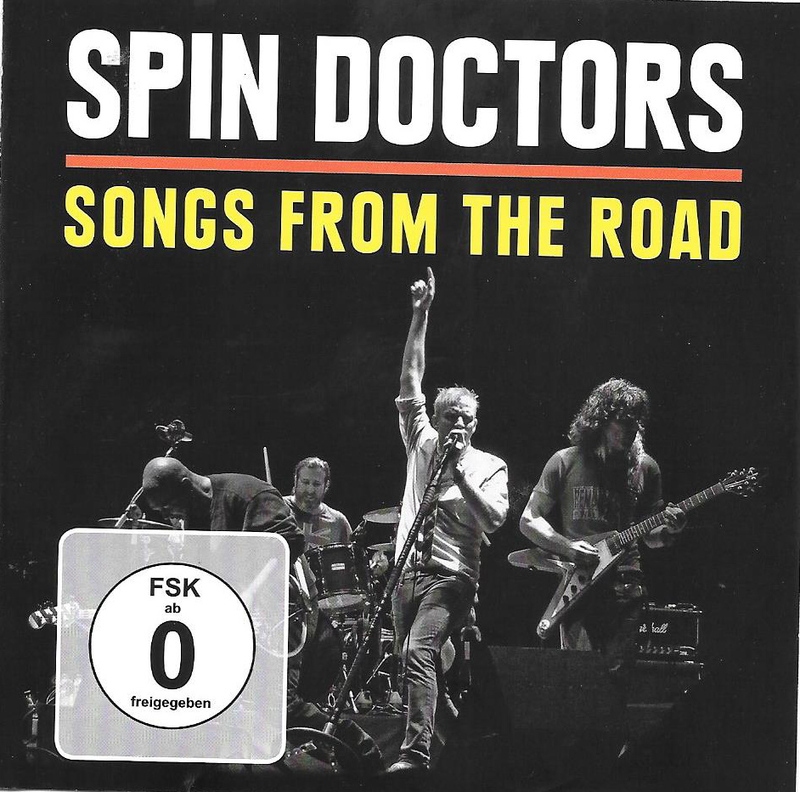 From the Spin Doctors back catalogue fourteen sparkling gems have been laid down as the set list for tonight, Opening with What Time is This and a cacophony of alarm clocks the guitar kicks in and we are off on a high octane musical adventure with the Spin Doctors. Amongst the plethora of their own material the title track of If The River Was Whiskey a lively full-blown stinging blues number that makes you want to jump and jive. Following this is a firm favourite Jimmy Olsen’s Blues in which the guitar sings sweetly and the beat demands your attention. If you like your Blues fiery and poured across some rock tones then Two Princes fits the bill, there is a definite 80’s punk beat to the tone achieved without losing the beat of the blues. Ending the live music extravaganza with Yo Mamas a Pajama you are left relishing the power of Chris Barron’s rocky blues vocals that melds and then duels with the lead guitar Eric Schenkman and the rhythm section that keep the shape of every track, fast, mellow rocky or blues. Did I say there is a DVD as well so you can hear and see the band at this live event recorded at Harmonie in Bonn, Germany on October 17th 2013; the bonus on the DVD are interviews with Chris Barron and drummer Aaron Comess.